The house features all top-of-the-line upgrades incl. 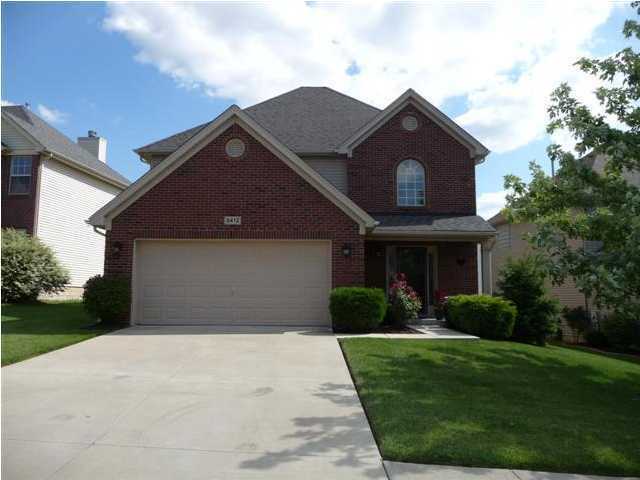 ceramic tile, upgraded cherry cabinets, stainless steel GE appliances, fireplace & irrigation system. 2nd floor master BR/bath with garden tub & huge walk-in closet. Two additional bedrooms share a full bath. Current paint colors. Wood deck, sealed driveway & garage. Direction: Hwy 22 to Worthington Place Subdivision, 2nd left on Symington, left to street. Worthington Place is a subdivision within the city of Louisville, Kentucky. There are currently 1 Homes for Sale within Worthington Place, with asking prices ranging from $234,900 to $234,900. The average list price per square foot of the available inventory in Worthington Place is $138, which is below the Louisville average of $156. The Average Sales price of all sold real estate in this subdivision for the past year is $250,103. Recent comparable homes have been selling for 98.37% of their asking price. Waterfront homes represent 0.00% of the available Worthington Place inventory. The population of Louisville, according to the 2010 Census, is 597,337. The total number of households in the zip code of Worthington Place is 12,201, with an average household size for of 2.36 people. The total number of renter households within the zip code of 40241 is 3,607, which means that 70.44% of households in this zipcode are owner occupant households. 5412 Skeffington Way, Louisville KY 40241 is a Home, with 3 bedrooms which is recently sold, it has 1,782 sqft, < 1/4 ACRE sized lot, and 2 Car Garage,Attached,Entry Front parking. A comparable Home, has 3 bedrooms and 2.5 baths, it was built in and is located at 11003 Symington Cir Louisville KY 40241 and for sale by its owner at $ 234,900. This home is located in the city of Louisville , in zip code 40241, this Jefferson County Home, it is in the WORTHINGTON PLACE Subdivision, and SPRING VALLEY ESTATES are nearby neighborhoods.